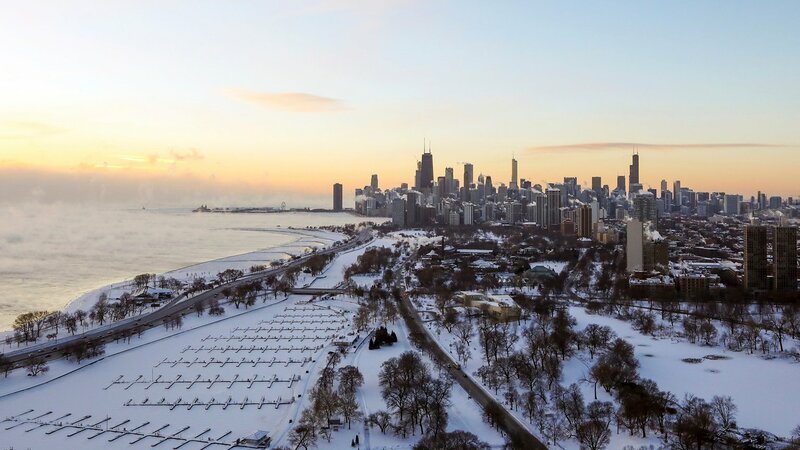 During a near-record cold snap, Chicago Public Schools announced that it has canceled all classes through the rest of the week as temperatures plunged below minus 20 degrees across the city. CPS leaders Tuesday night announced the cancellation of all school activities for Thursday. The district already announced it had canceled all Wednesday classes and Friday is a previously scheduled non-attendance day. That means students aren’t due back in class until next Monday. “The safety of students remains the most important factor in making these decisions, and since temperatures are expected to stay at dangerous levels through Thursday, we are canceling school to ensure families have ample time to plan ahead,” CPS CEO Janice Jackson said in a statement Tuesday. All CPS buildings will be closed Thursday and the district is strongly urging students to stay indoors for their own safety. CPS employees are still expected to report to school on Friday. While CPS will close, the Chicago Park District will operate warming centers. Information on locations and hours can be found at the park district’s website. Chicago Teachers Union leaders had criticized the district on Monday before the closure announcements were made, saying CPS must do more to maintain their facilities and ensure students have warm buildings to go to when they have class. "It's criminal for this mayor to force children to attend school under what is shaping up to be extremely dangerous weather conditions this week, when we know the mayor continues to fail to invest in the basic infrastructure we need to provide safe, warm learning conditions,” CTU President Jesse Sharkey said in a statement. Some suburban districts have also announced cancellations this week. The University of Chicago, DePaul and Northwestern Universities have also shut their campuses down until Thursday morning. Columbia College Chicago closed Tuesday night and will remain closed through Wednesday. Temperatures dipped below minus 20 on Wednesday in Chicago and are expected to hit similar lows Thursday morning. Wind chills are expected to drop to between minus 40 and minus 55 degrees, according to the National Weather Service. “If there's a day where one needs to demonstrate cold weather safety to the max, it is Wednesday,” the NWS Chicago branch tweeted Tuesday. CPS says it notified parents of the closures through robocalls, emails and social media platforms. Parents can also call 773-553-1000 or visit the CPS website for more information.